Based on a Gourmet Magazine, August 1998, recipe which suggested freezing part of it, this easy summer recipe makes a subtle, smooth sauce. I usually make a double batch and then can it, rather than freezing it. 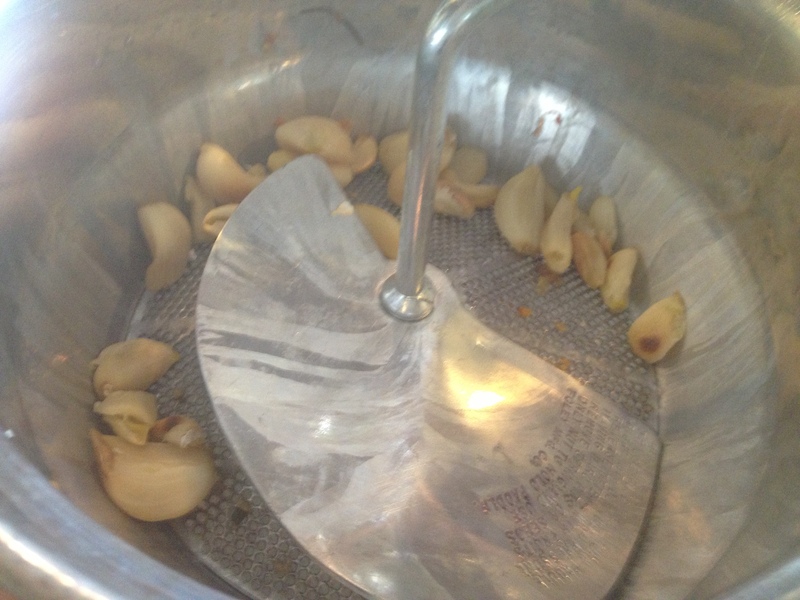 One recipe will yield about six and a half cups. Recently I tripled the recipe and got 14 pint bottles of sauce. 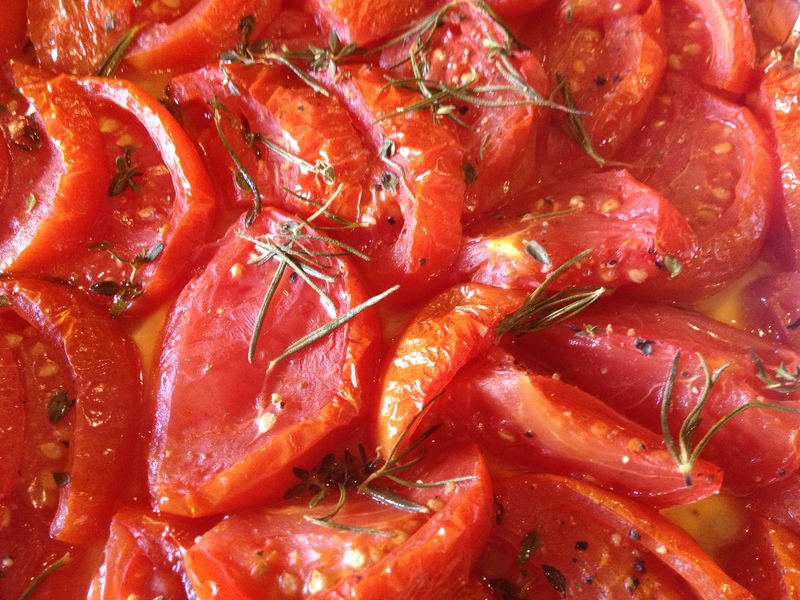 The original recipe is still available on the internet in the Epicurious site. 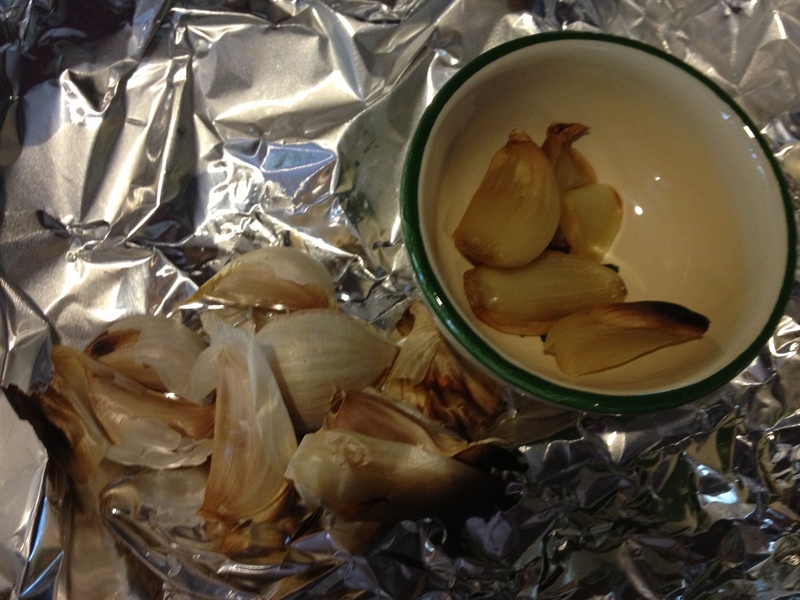 Line two 12×17 rimmed baking sheets with heavy-duty foil, and spread 2 tablespoons of the oil on each. 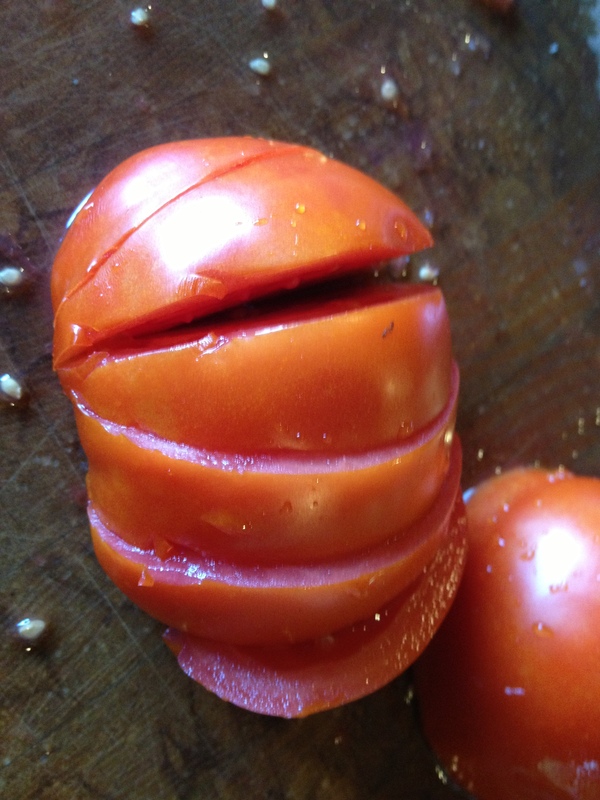 Core the tomatoes and then cut in two, top to bottom. 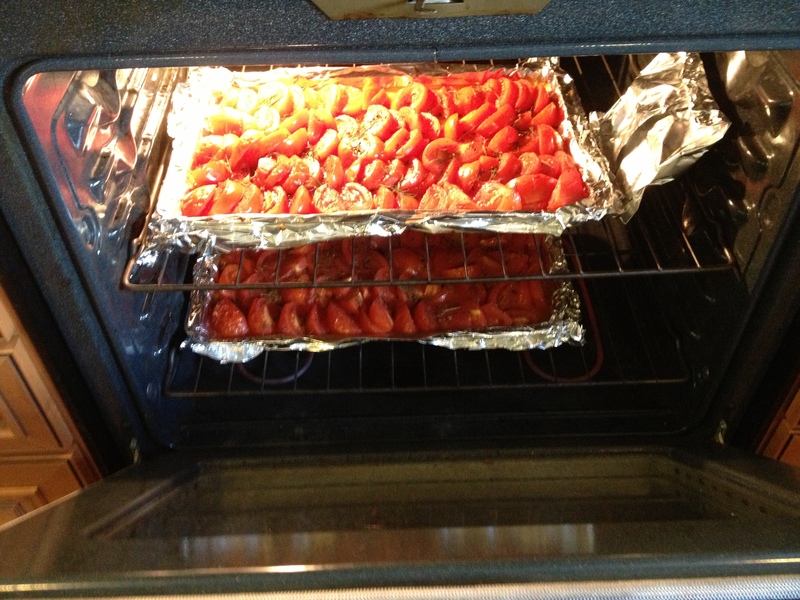 Slice each half into 1/2″slices and arrange on the prepared pans. 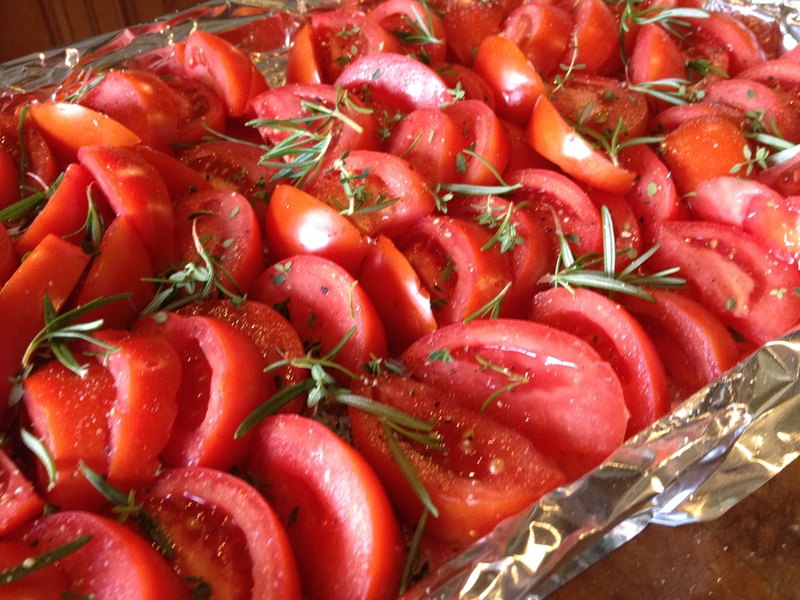 Sprinkle a tablespoon of rosemary and a tablespoon of thyme leaves on the tomatoes in each pan. 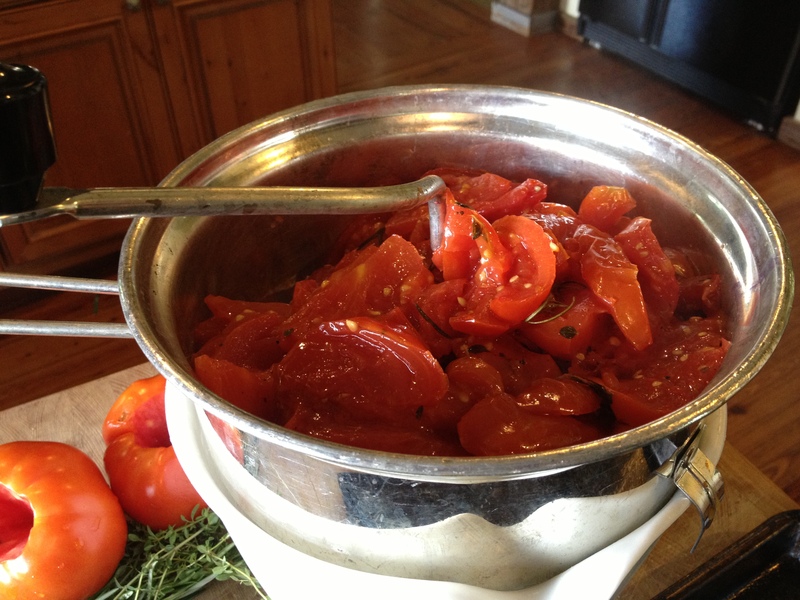 Sprinkle the tomatoes with salt and pepper to taste. 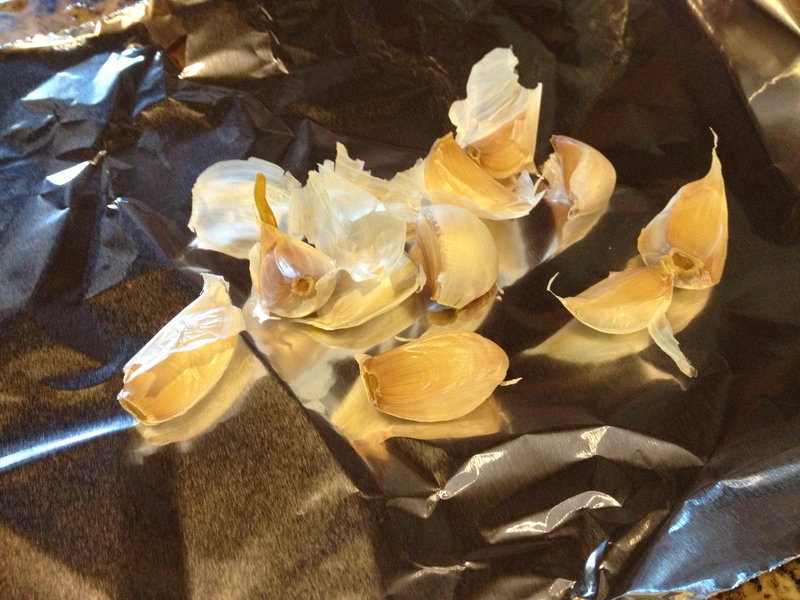 Separate garlic head into cloves, discarding the loose papery outer skin but keeping skin intact on cloves. 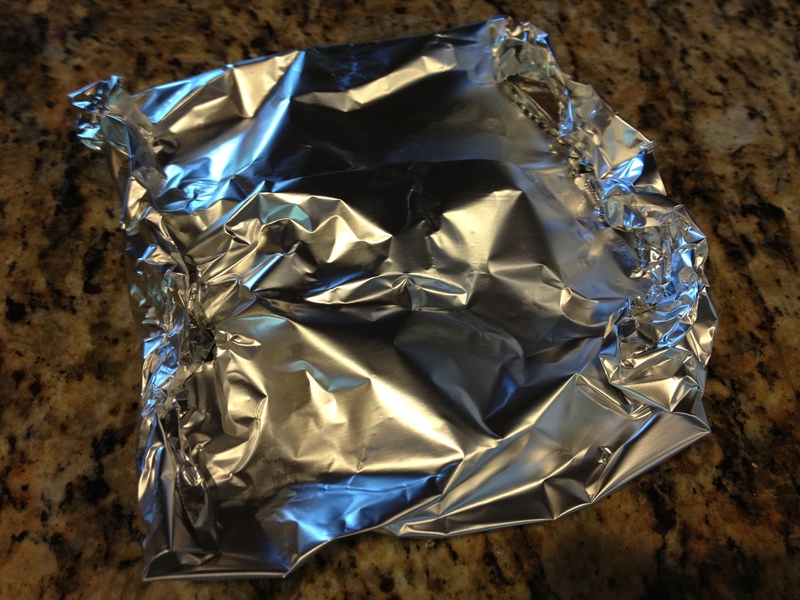 Wrap in two separate pieces of foil crimping seams to seal tightly. 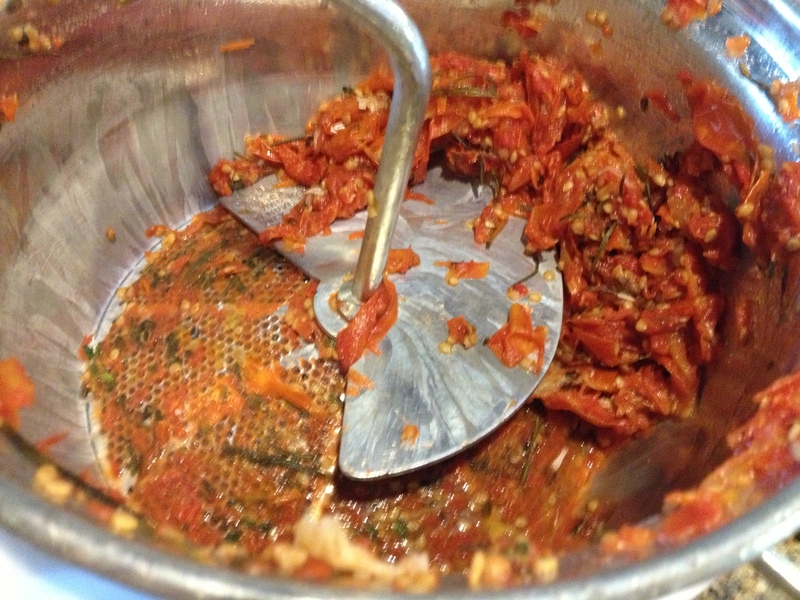 The tomato pulp will be extruded and what you will have left in the mill will be only the seeds and the skin. Add the additional teaspoon each rosemary and thyme. Taste and adjust the salt & pepper. You should end up with about 7 cups of sauce.